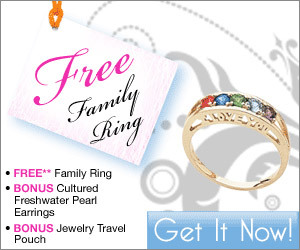 The Mother’s Ring is a personalized birthstone ring. Layered in 14k gold, it allows up to seven birthstone gems to be inserted and features the words ‘I Love You’. It’s the perfect gift for any mom, grandma or wife. ‘I Love You’ in the ring’s gallery.